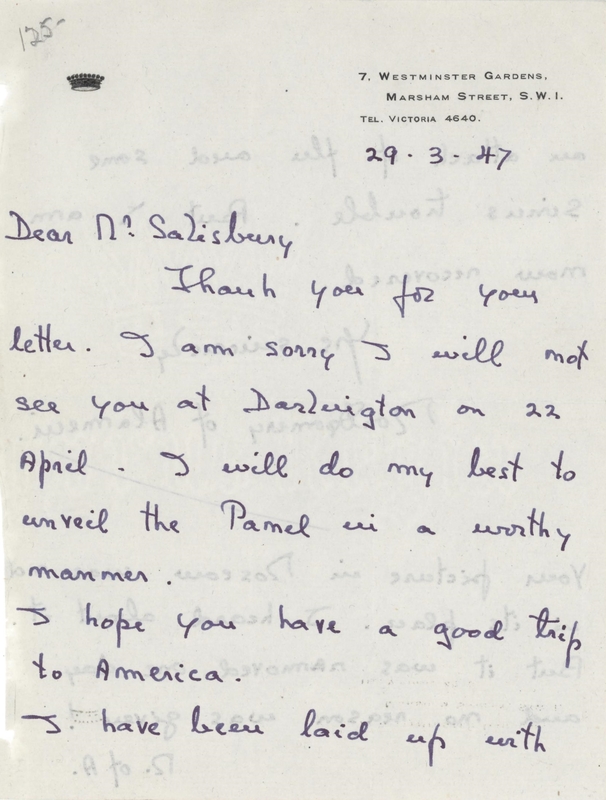 MONTGOMERY, Bernard Law, 1st Viscount Montgomery of Alamein (1887-1976). 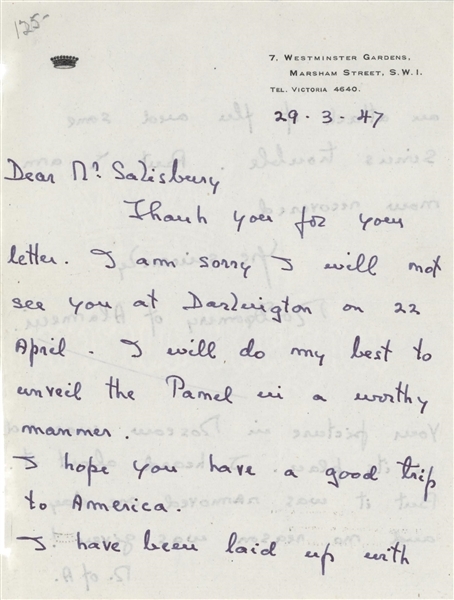 Autograph letter signed ("Montgomery of Alamein"), to Mr. Salisbury, London, 29 March 1947. 2 pages, 8vo, on 7 Westminster Gardens, Marsham Street stationery. 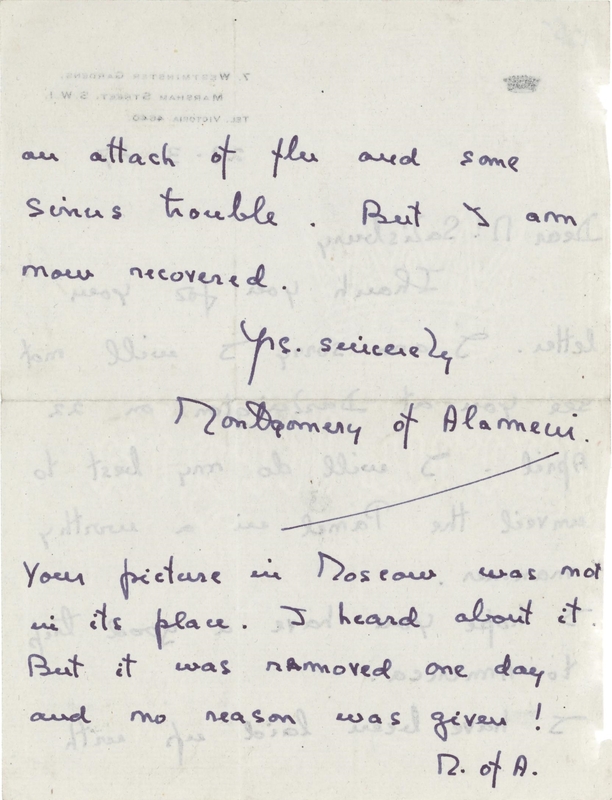 Montgomery sends his regrets, but promises to "do my best to unveil the [portrait of] Parnel in a worthy manner." 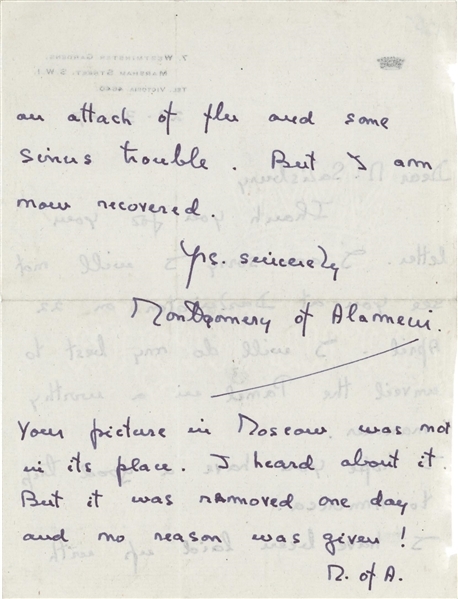 -- Nicknamed "Monty" and "The Spartan General", was a senior British Army officer who fought in both the First World War and the Second World War.